Insurance claims for water-related incidents are on the rise. They account for 57 percent of all real estate claims and 71 percent of the dollar value of all real estate claims (source: Zurich Insurance Group). 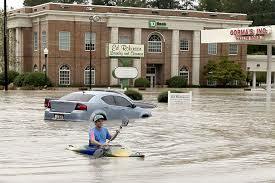 The average commercial flood claim is $120,000 (source: FEMA). Investing in water-detection monitoring systems, such as those provided by Eddy Solutions, can reduce the volume and severity of water problems. Insurance companies recommend such measures to help reduce the cost of insurance and loss of coverage. Water-detection monitoring systems can identify the unexpected presence of water and immediately notify the right individual. In the condo suite they are typically located near water sources including pipes, toilet, dish washer and clothes washer. In common areas they are typically located in hidden areas where water is most likely to accumulate unseen such as risers containing water pipes and elevator wells. 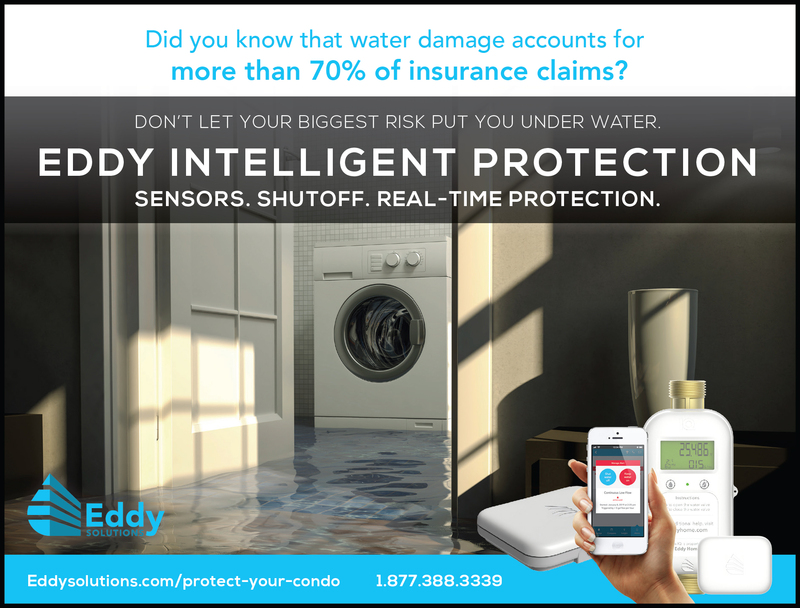 Condominium Insurance Solutions, a provider of insurance to condominium corporations, recommends building-wide use of water-detection monitoring solutions to mitigate against rising insurance premiums and deductibles that result from the increasing number of water-related insurance claims. Systems provide real-time monitoring allowing minor water problems to be identified and dealt with before they escalate.